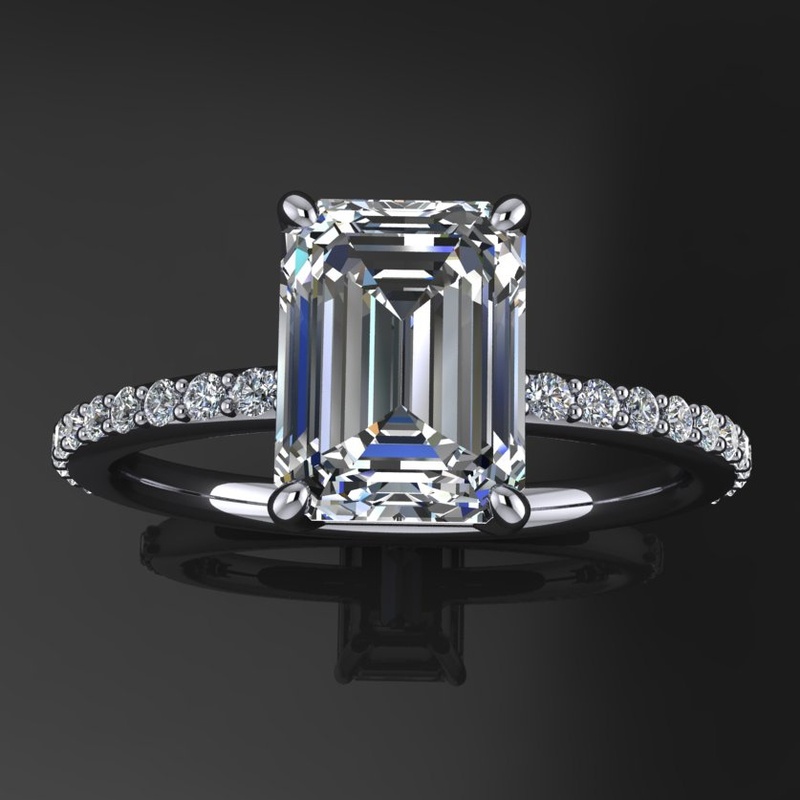 A gorgeous 2.45 carat emerald cut NEO moissanite is hand set in 14k white, yellow, rose gold or platinum. 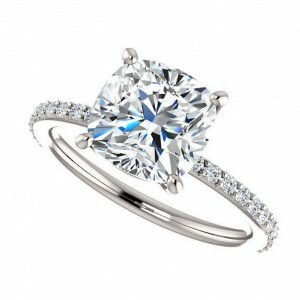 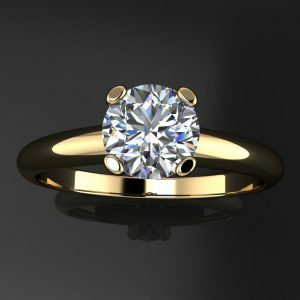 This ring has a delicate French pave’ style ring shank. 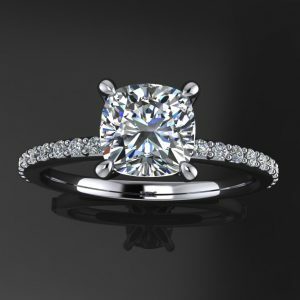 The band measures a delicate 1.7mm wide, making your center stone look even bigger and more delish. 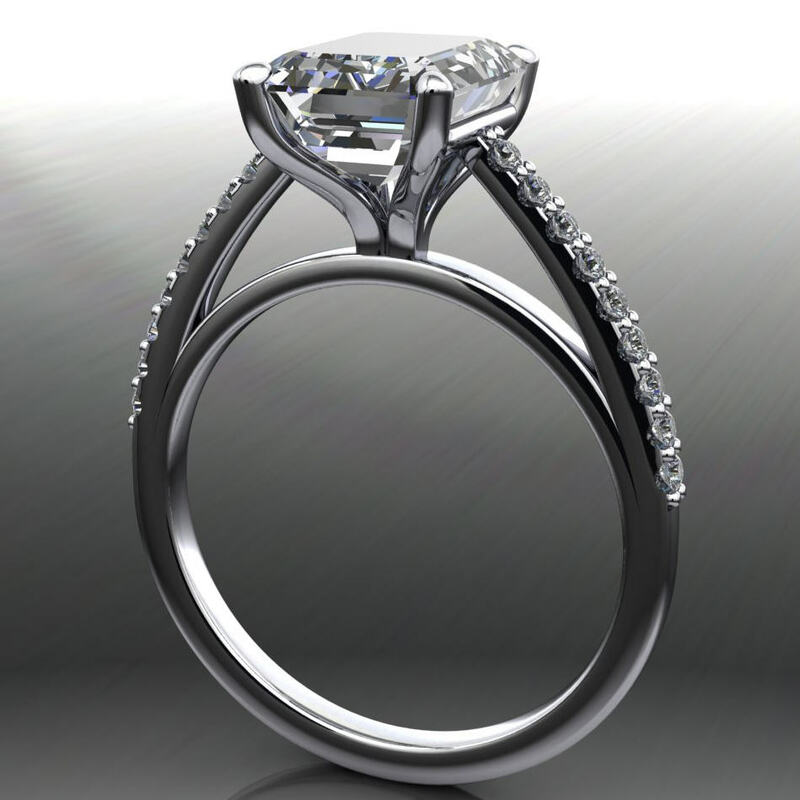 Wedding band shown is sold separately. 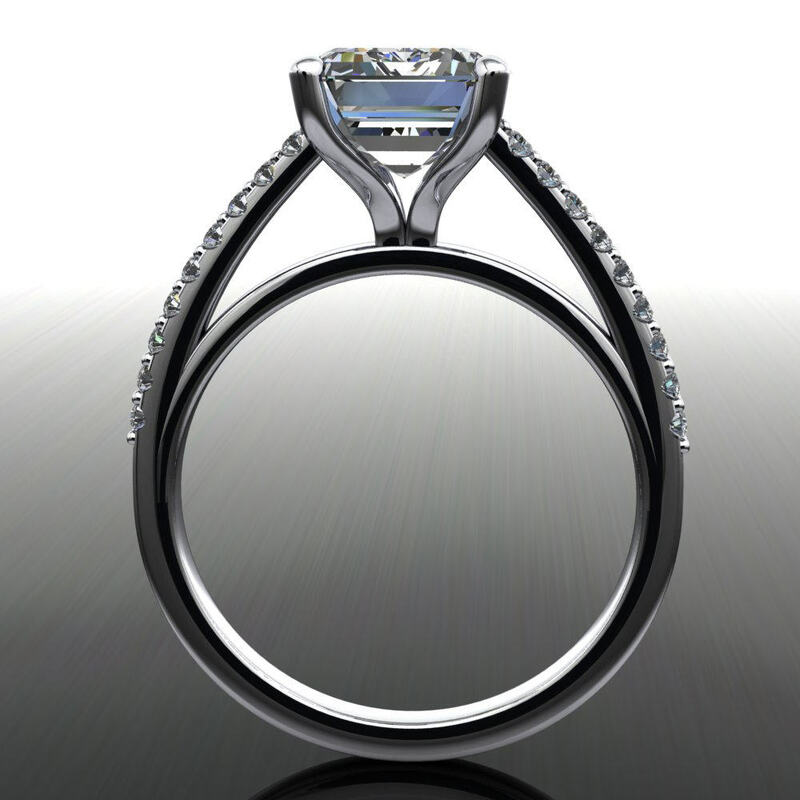 This NEO is near colorless, G-H in color. 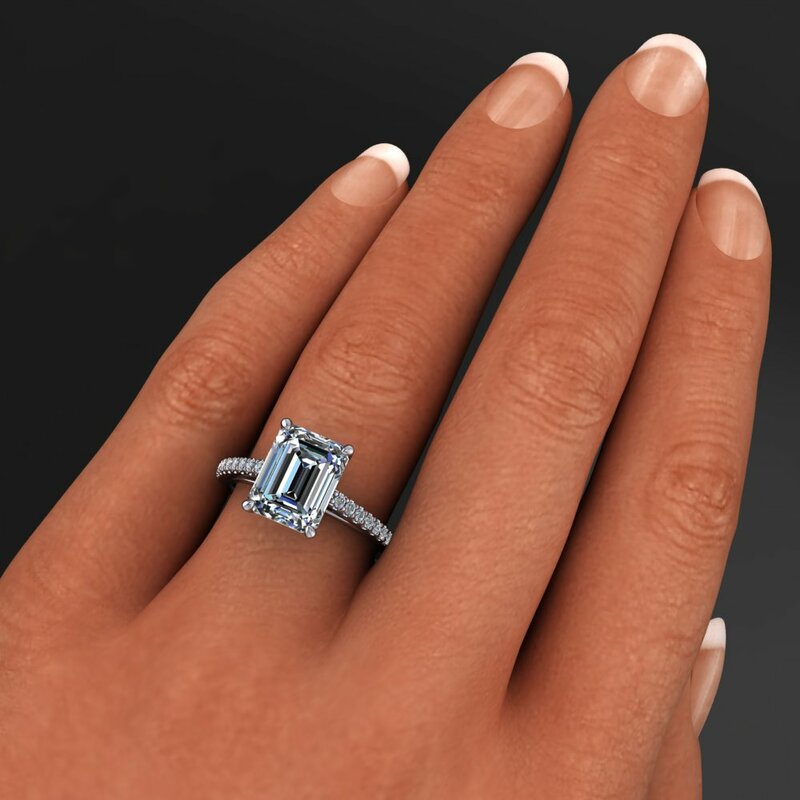 Colorless NEOs are also available. 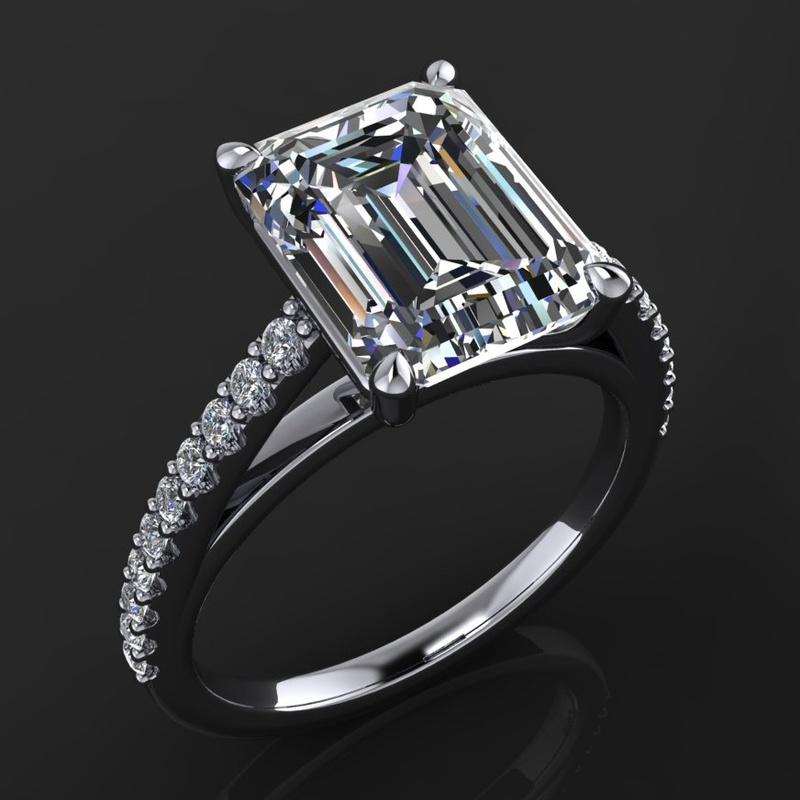 Want to see our emerald cut NEO in action? 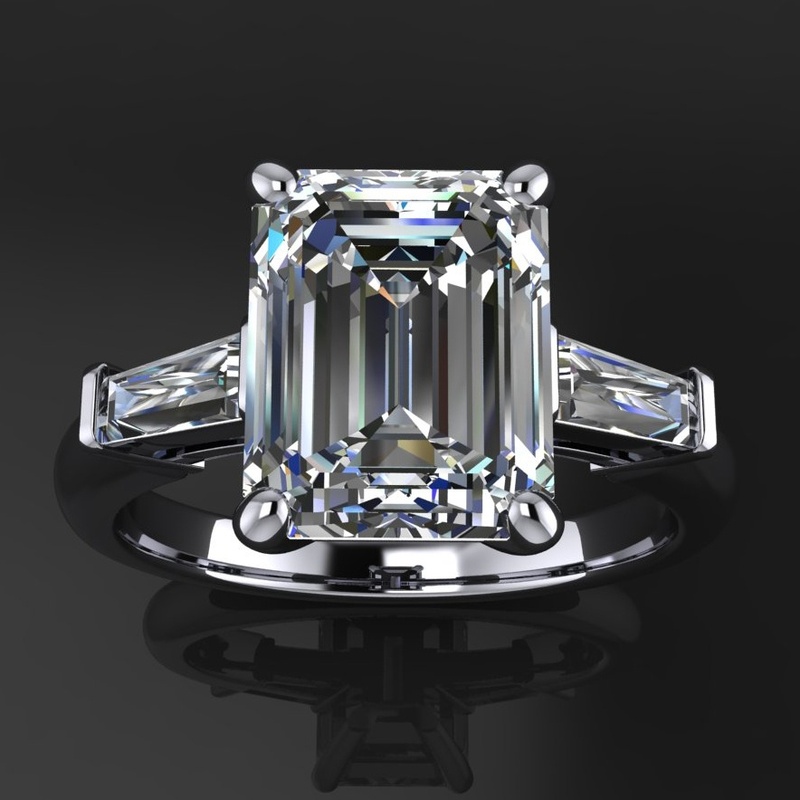 One 2.45 carat 9x7mm emerald cut NEO moissanite by Wholesale Moissanite, G-H color. 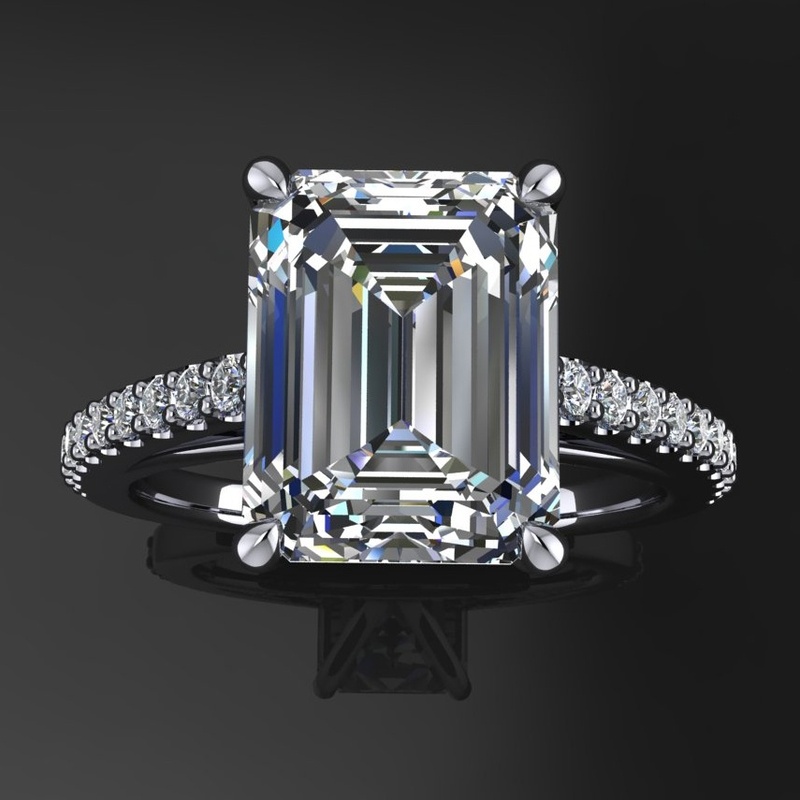 Includes gem certification/most kickass moissanite warranty on the market. 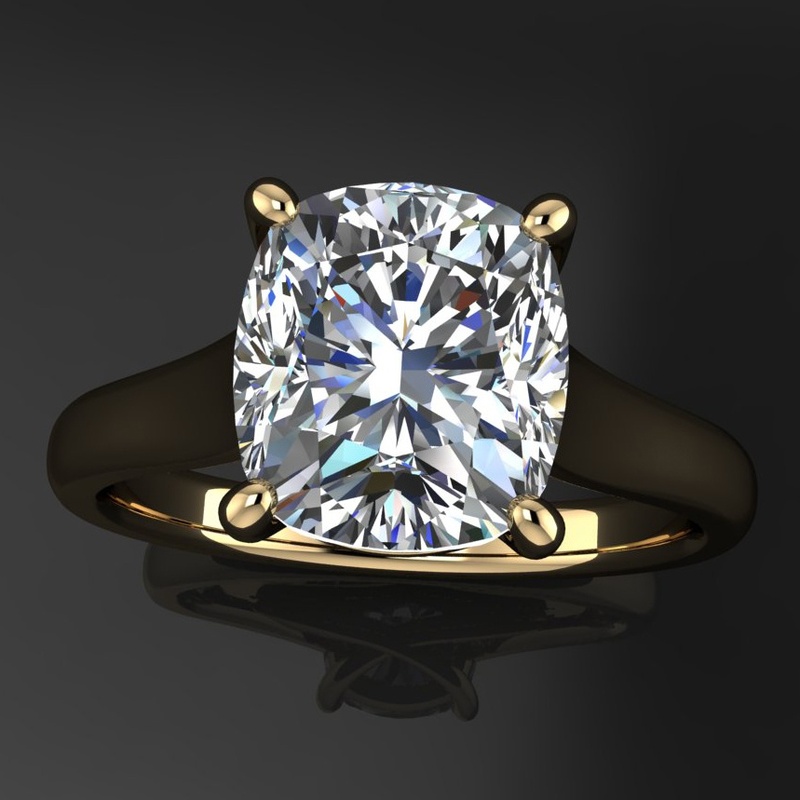 Eighteen 1.30mm round G-H VS diamonds. 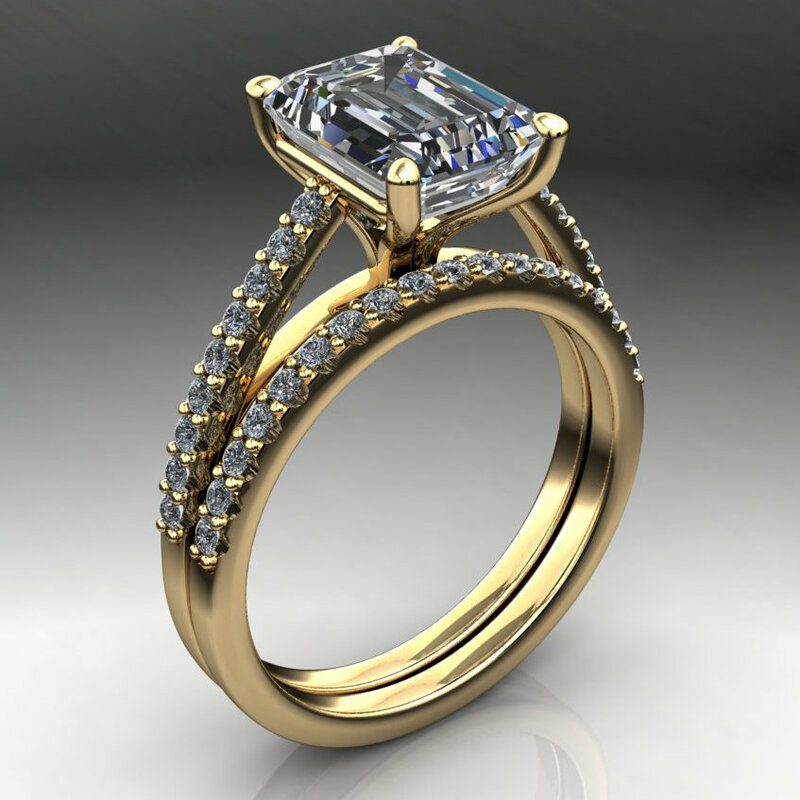 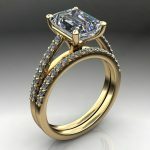 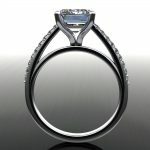 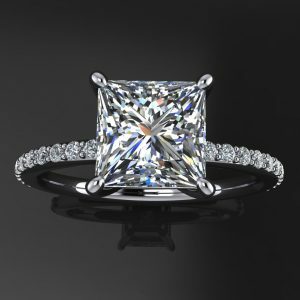 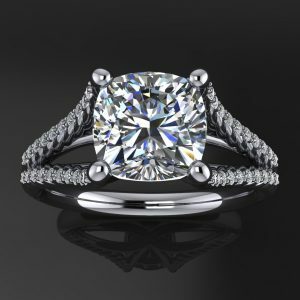 NEO is a newer moissanite on the market. 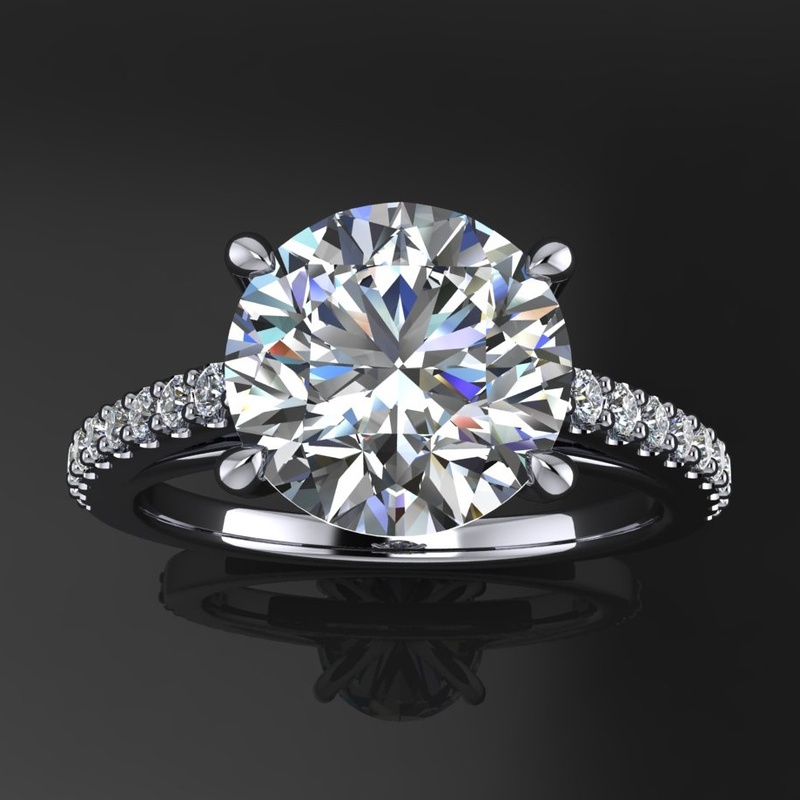 The patent for moissanite expired in 2015, and this beautiful stone is now available in a diamond cut round, a round brilliant, cushion, emerald and many other delicious shapes.